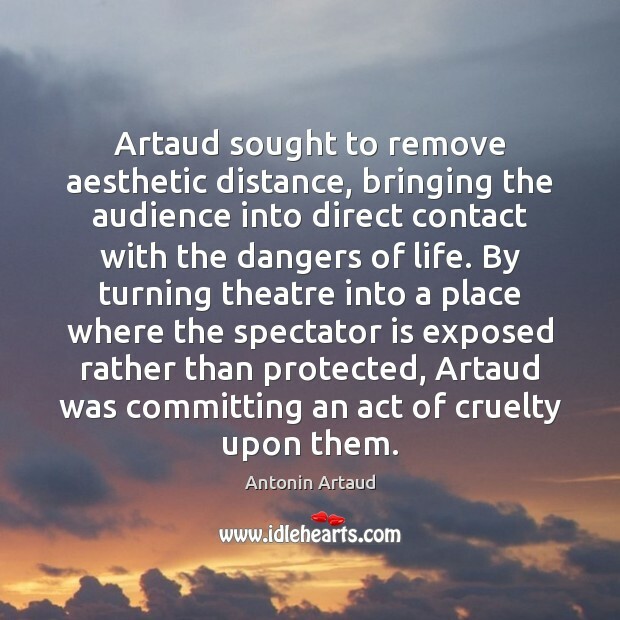 Quotations about Artaud. Quotes to stimulate mind and drive action! Use the words and quote images to feed your brain inspiring things daily! 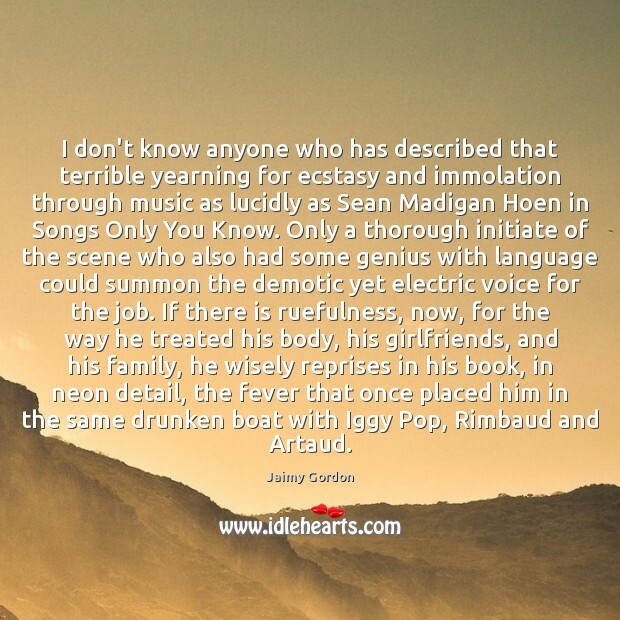 I don't know anyone who has described that terrible yearning for ecstasy and immolation through music as lucidly as Sean Madigan Hoen in Songs Only You Know. Only a thorough initiate of the scene who also had some genius with language could summon the demotic yet electric voice for the job. 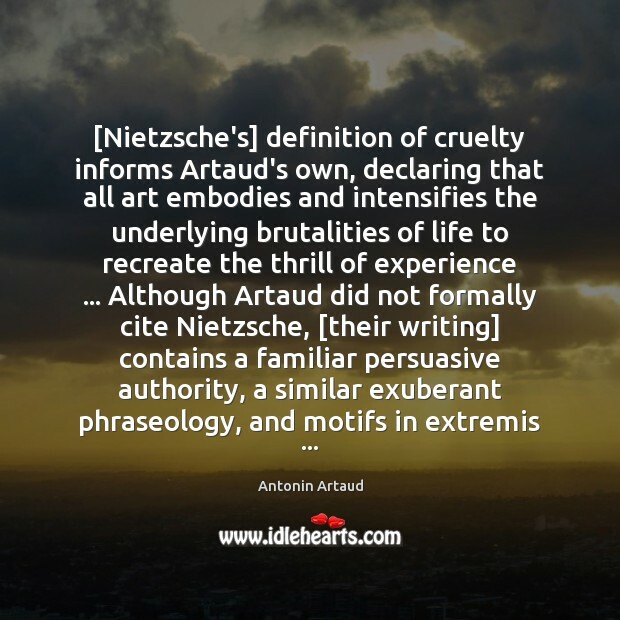 If there is ruefulness, now, for the way he treated his body, his girlfriends, and his family, he wisely reprises in his book, in neon detail, the fever that once placed him in the same drunken boat with Iggy Pop, Rimbaud and Artaud. 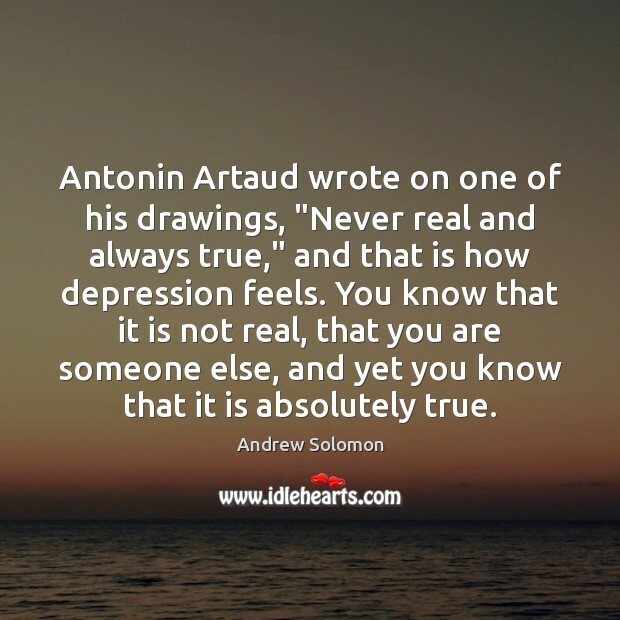 Antonin Artaud wrote on one of his drawings, "Never real and always true," and that is how depression feels. You know that it is not real, that you are someone else, and yet you know that it is absolutely true. Since childhood, it was my dream to go where all the poets and artists had been. 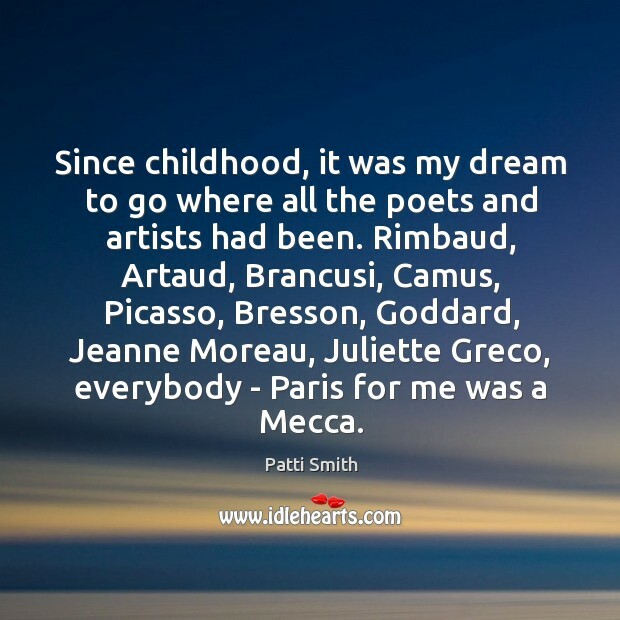 Rimbaud, Artaud, Brancusi, Camus, Picasso, Bresson, Goddard, Jeanne Moreau, Juliette Greco, everybody - Paris for me was a Mecca.